He says he's heard what they've been saying about America. 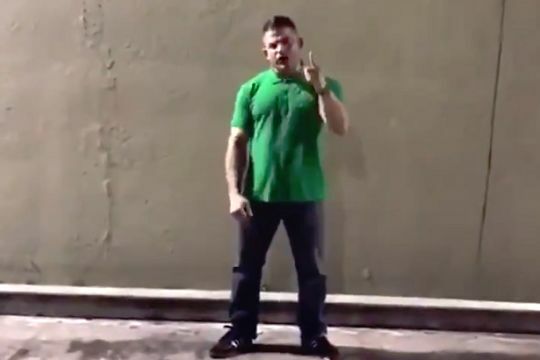 A man said to be a Miami FC fan attempts to address the more unsavoury elements of Millwall’s support in this short video of him speaking to camera. I hear what you’ve been saying about Miami Casuals, I hear what you’ve been saying about South Florida and I hear what you’ve been saying about America. Miami were founded in 2015 and began playing in the North American Soccer League, the second tier of football in the United States. Following the cancellation of the 2018 NASL season however, the team is said to be “on hiatus” with some players playing with Miami FC 2 in the National Premier Soccer League.